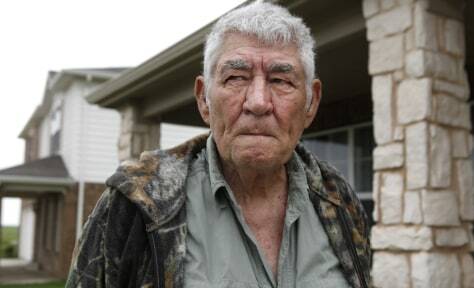 Wilburn C. Russell, 73, pauses in front of the house his son U.S. Army Sgt. John Russell purchased in Sherman, Texas, Tuesday, May 12. Russell's son is accused of killing five fellow troops at their base in Iraq.